Community Outreach Web Application | Resource Systems Group, Inc. 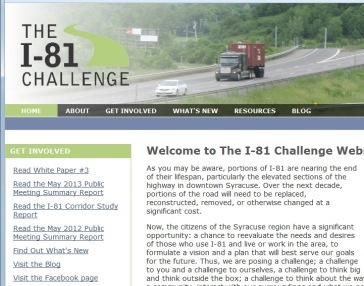 In partnership with Howard-Stein Hudson, RSG delivered a community outreach web application for the Syracuse Metropolitan Transportation Council (SMTC) to engage the Syracuse community in the I-81 corridor planning process.The software tool hosts project files, meeting notes, a project calendar, a blog, videos, and other project resources to help the community and the planning agency stay connected through the project planning lifestyle. The website can be viewed here. 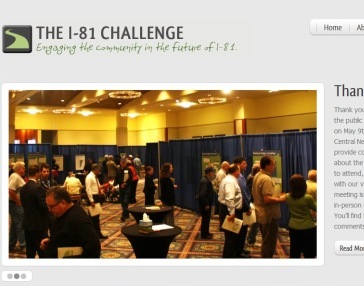 As part of the same contract, RSG administered a community survey and conducted the travel modeling for the I-81 corridor planning.